Last month on social media, I shared the cover art for my brand new novella, Diary of One Who Disappeared (being released in April 2019), and now the book is available for preorder from Epigram Books! I’m so excited that this slim book will finally be seeing the light of day, and I can’t wait for y’all to read it. I’m a bit burned out on doorstoppers at the moment, so in case you’re the same, this is perfect for you, a compelling story that can be (conceivably) finished in one sitting. If you are a book reviewer for a legitimate venue, email me so we can get a review copy to you straight away (most likely PDF, but we might be printing some ARCs for local reviewers). I’ll be presenting the novella this coming Friday at the Epigram Books biannual sales conference (which this year we’re calling First Look Showcase: Stories About Stories) for industry professionals. If they like what I have to say, there’s a good chance that they’ll order bunches of copies for their bookshops, or devote some page space in newspapers and magazines. Wish me luck! The contracts have at last been signed, so I can officially announce that Epigram Books will be publishing two books by me next year, scheduled for March and October, respectively: a novella called The Diary of One Who Disappeared (recipient of the 2013 NAC Creation Grant), and a “greatest hits” short story collection called Most Excellent and Lamentable (with an introduction by Dean Francis Alfar). Yay! 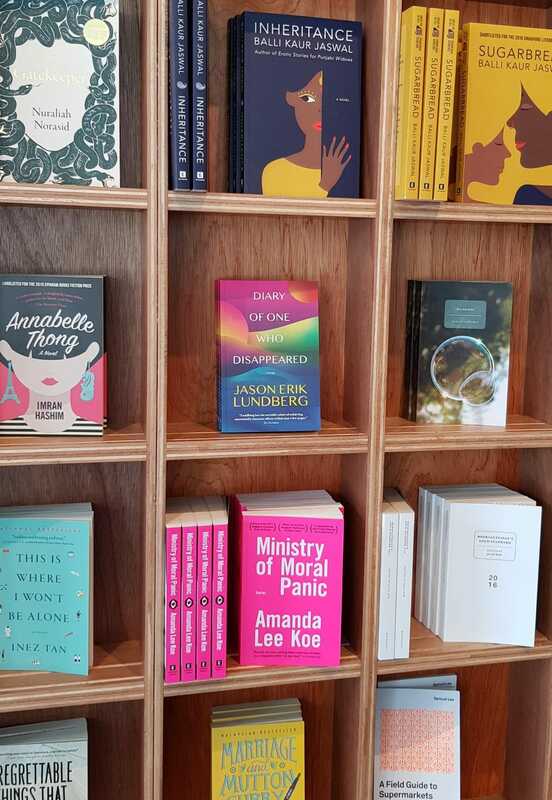 I’ve resisted submitting my own fiction to Epigram Books for a long time, because it felt a bit strange publishing fiction at the company where I’m the fiction editor. But I’m glad that it’ll be happening, and that I’ll be working with my colleague Eldes Tran to shape both of these manuscripts. At the same, I pitched my long-languishing novella, which my (now ex-)agent had not done anything with for four years, and thankfully Edmund agreed to take it as well. But after receiving some additional feedback, I realised that it didn’t address the world that we’re living in now, which is very different from the optimism and openness of four years ago. So I’m currently revising the manuscript to make it more relevant (and, frankly, better), and aiming at a mid-August deadline to turn it in. Tonight, the festivities for the 2017 Singapore Writers Festival will kick off, and I’m happy to have been invited as a featured author again this year. I’ll be around for most of the festival, but here are the events that I’m directly involved with. This session is part of the Speculative Fiction focus. 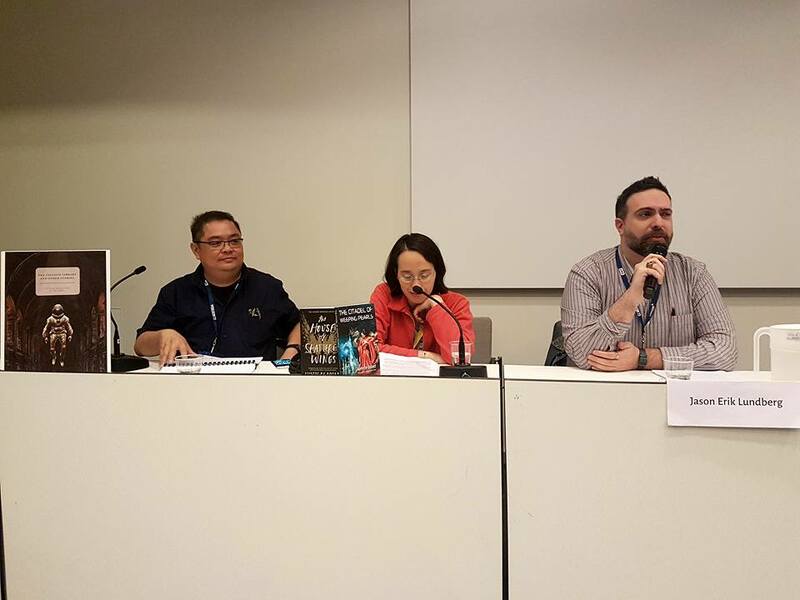 On 11 August at 10:00 in the morning, I moderated a panel at Worldcon 75 in Helsinki, called “Surreal Worlds of Southeast Asia“. Joining me were Aliette de Bodard and Victor Fernando R. Ocampo, two great writers whom I admire, and we had a fascinating discussion about speculative fiction in and about Southeast Asia; they also discussed their work and I talked a bit about LONTAR (which needs your help right now). The audience was a decent size for a 10am event, and I discovered afterward that all the copies of Red Dot Irreal and LONTAR that I brought sold out at the convention. 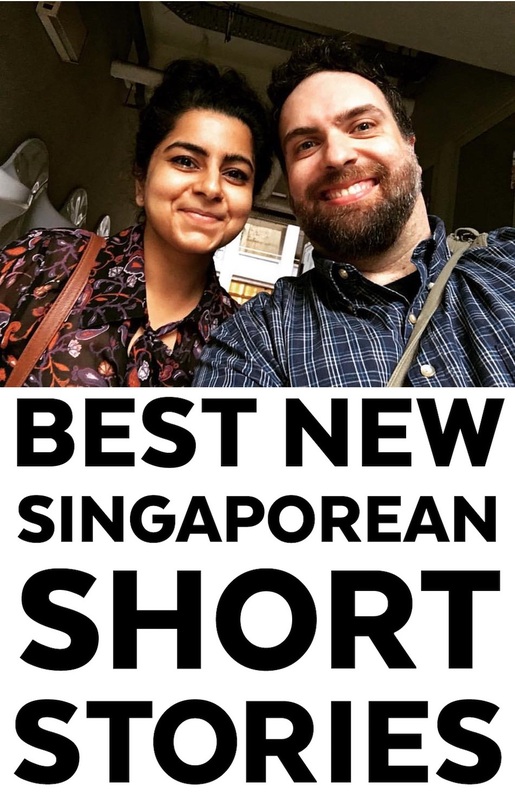 I was very happy to see that we had spread the word, and hopefully folks will go looking for more Southeast Asian speculative writing in the future. The Epigram Books Collection of Best New Singaporean Short Stories: Volume Three is now at the printers, and will be available in bookstores next month; we’ll launch the anthology at Kinokuniya in the afternoon of October 28th. In case you missed it, here is the table of contents. Grace Chia, The Cuckoo Conundrum (The NTU Residencies Chapbooks) (Singapore: Ethos Books, 2016). I am very proud to announce the contents and cover design for the third volume of the Best New Singaporean Short Stories anthology series, guest edited by Cyril Wong, to be published in October 2017 by Epigram Books, and launched at Kinokuniya later that month. Please join us for the book launch at Kinokuniya Neo SIMS (the main store on Orchard Road) on 28 October at 2:30pm. Cyril and I will be co-moderating, and the event will feature contributors Nuraliah Norasid, Clara Chow and Melissa De Silva. In about 32 hours, I will be on a plane bound for Worldcon 75 in Helsinki! The previous (and only) World Science Fiction Convention I attended was in Baltimore in 1998, nearly 20 years ago, and I haven’t been able to attend any conventions in the 10 years since moving to Singapore, so I’m very excited to throw myself into sf fandom once again. I’ve also never traveled to any of the Nordic countries, despite being one-quarter Swedish; the closest I’ve gotten is IKEA in Singapore (which ain’t the same). I’m also beside myself with anticipation at Helsinki’s autumnal weather right now, which will be a welcome break from the tropical heat and humidity of my adopted home. Southeast Asia—a subregion of the world made up of 11 countries and over 620 million people—is undergoing a renaissance in speculative fiction. More and more authors from the region are spreading their strange stories to the rest of the world, aided by publications such as the long-running Philippine Speculative Fiction anthology series and LONTAR: The Journal of Southeast Asian Speculative Fiction. In this panel moderated by LONTAR‘s founding editor, Jason Erik Lundberg, two authors from Southeast Asia and its diaspora, Aliette de Bodard (France/Vietnam) and Victor Fernando R. Ocampo (Philippines), discuss their works in the context of worldwide speculative fiction in English, and the challenges that come with bringing their authentic voices to a global audience. Otherwise, I’ll be wandering through the dealers’ room (and likely buying too many books), checking out the art show, attending panels and readings and kaffeeklatsches and the Hugo Awards ceremony, catching up with friends, and also exploring Helsinki itself. This is the first actual vacation I’ve had in years, and I’ll be taking full advantage of it. I’m also bringing copies of Fish Eats Lion, several (though not all) issues of LONTAR, and the now out-of-print first edition of Red Dot Irreal, for sale at the Independent Authors table in the Trade Hall. Because I have to haul them myself all the way from Singapore, I won’t be bringing many copies, so they might go fast; better to snag them sooner than later. I still have some last-minute things to take care of today and tomorrow, and then I’ll be flying to Finland! Yay Worldcon! POP AYE, the first feature film by Singaporean auteur Kirsten Tan, is out now in theatres in Singapore for what will likely be a limited run. It has already won a Special Jury Prize in the World Cinema Dramatic Competition section at the 2017 Sundance Film Festival, and the VPRO Big Screen Award at the International Film Festival Rotterdam in the Netherlands. It’s gotten a lot of international attention; the Hollywood Reporter called it “an assured and noteworthy feature debut”. POP AYE is a road movie with an elephant set in Thailand. It tells the story of Thana, a disenchanted architect, who bumps into Popeye, his long-lost childhood elephant, on the streets of Bangkok. Dissatisfied with his current life in the city, Thana takes his elephant on a road trip across Thailand, in search of the rural farm where they grew up together. Along the way, they meet a host of characters—a fortune-telling vagabond, a pokerfaced policeman, a crematorium monk, a lonely transsexual karaoke singer—who colour their journey, as various mishaps (sometimes absurd, sometimes poignant, sometimes both absurd and poignant at once) befall them on the road. I saw the film on opening night last Thursday, and it blew me away. Tan’s voice as an independent filmmaker is assured and empathetic, and she coaxed incredible performances from her cast of non-professional actors (including one very expressive elephant). She did a Q&A for the night, and the discussion about her writing and development process was fascinating; it took her three years of just working on the script before filming a single scene, and she worked incredibly closely with several Thai translators to make sure that the dialogue worked in both English and Thai. Because this is an indie film, it won’t stay in theatres here for very long, but attendance right now can help to prolog the run. If you’re in Singapore, it’s playing right now at Golden Village cinemas at Plaza Singapura and VivoCity, but I recommend seeing it at The Projector (Singapore’s only art-house theatre) if you can. EB Authors at Kino for World Book Day! If I could put on my editor’s hat for a moment, four of my authors at Epigram Books, as well as your humble narrator, will be appearing this Saturday afternoon at Kinokuniya’s Singapore main store as part of their World Book Day celebrations! At 2pm, I will be moderating a panel on “Worlds Beyond Words” with our #EBFP2015-longlisted authors: Daryl Qilin Yam, Imran Hashim and Kevin Martens Wong. All three of their first novels (Kappa Quartet, Annabelle Thong and Altered Straits) go beyond Singapore’s shores to other places (and in Kevin’s case, to parallel worlds), so the discussion should be a fascinating one. So come celebrate World Book Day with us Saturday, and get some fantastic books signed! A Fickle and Restless Weapon — a 130,000-word Calvino-esque psychological novel about transnational characters using varied art forms to struggle against a Southeast Asian surveillance state. With explosions. Quek Zhou Ma (who goes under the stage name Zed), an internationally successful dramatist, arrives home in the equatorial island-nation of Tinhau after a long absence in order to attend the funeral of his older sister, who has committed suicide by train. As he deals with conflicting feelings about a homeland he hardly recognizes, and the lingering questions surrounding his sister’s death, he decides to produce a lavish spare-no-expense production in conjunction with the Ministry of Culture, but opening night is marred by a nearby bombing attributed to a local resistance group calling themselves PAKATAN. Tara, a transplanted Indian by way of America, works for the Ministry of Culture as a graphic designer, and leads Buddhist meditation circles on the weekends, which is where she first meets Zed. With an uncanny knack for both reading and influencing the behavior of others, she has found herself uneasily associated with PAKATAN, and despite her stance on non-violence she is charged with bringing Zed over to the cause. But as the pair begin to grow closer, she has doubts about whether she can complete her task. Vahid Nabizadeh, Zed’s creative partner and a master puppeteer, stays in Tinhau after the end of their production. An Iranian Briton, already once removed from his native country, he finds a home in the culture and cuisine of Tinhau, and an unlikely friendship with Kelvin de Vries, an Indo-Dutch son of Tinhau’s most successful business magnate. As Vahid comes to grips with his new life, he inadvertently becomes embroiled in political and financial intrigue that threatens to unbalance the stability of the government itself. A Fickle and Restless Weapon explores the relationships between these characters, and the ways that they deal with their disaffected identities, as well as the disruption and chaos that occurs when Tinhau is abruptly attacked by the Range, a mysterious cloud formation that appears without warning and destroys without mercy, a weapon as fickle and restless as the human mind. The Diary of One Who Disappeared — a 30,000-word novella that takes place 25 years after the events of A Fickle and Restless Weapon, and shares the same fantastical milieu (but can be read as a standalone piece). Peak oil, the climate crisis, and the economic collapse of the USA in the late 20th century have impacted Tinhau, one of many countries that has depended heavily on the American capitalist engine; yet Tinhau’s government not only has survived the shock, but appears to be thriving. Lucas Lehrer is a minor functionary in the Department of Economic and Spiritual Development, headquartered at the North American Union’s capitol in New York City. He is tasked with traveling from the NAU to Tinhau via airship to liaise with officials there and extend the offer of partnership. Lucas’s immediate supervisor on the mission is his estranged wife Ailene, and he hopes that the trip will also reinvigorate their failing marriage. After arriving at their destination, they are met with religious and cultural differences that cause negotiations to break down. Ailene announces her intention of divorce as soon as they return to NYC, and in an act of rebellion Lucas decides to request asylum to stay in Tinhau. As he begins his new job at Tinhau’s Ministry of Stability, he encounters an odd series of coincidences, in which his deep-seated desires start coming true. He also befriends an emerging Chinese-language poet named Yu-Wei, a young woman who is not what she seems, and who may not be from our universe at all. I was recently asked by Gareth Richards of Gerakbudaya Bookshop in Penang to pick the three best books I read that were published in 2016. It was a real challenge narrowing it down to only three (I could have easily listed 20 or 30), but in the end I chose one graphic novel / collected comics volume (Monstress, Volume 1: Awakening by Marjorie Liu & Sana Takeda), one short fiction collection (The Paper Menagerie and Other Stories by Ken Liu), and one novel (The Question of Red by Laksmi Pamuntjak), the last of which I want to talk just a bit more about. Laksmi Pamuntjak has published collections of verse and short stories, and five editions of the Jakarta Good Food Guide. She is proficiently bilingual in both Indonesian and English, and has translated two works of Indonesian poet and essayist Goenawan Mohamad. The Question of Red was first published in Indonesian in 2012 by Gramedia Pustaka Utama, and became an instant hit. The German edition did so as well, winning the LiBeraturpreis in 2016, appearing on the Frankfurter Allgemeine Zeitung’s Top 8 list of the best books of the Frankfurt Book Fair 2015, and being named best work of fiction from Asia, America, Latin America, and the Caribbean translated into German on the Weltempfaenger (Receivers of the World) list. An English translation was hurriedly produced by Gramedia in 2013, but Laksmi later did a ground-up revisiting of the text, transcreating the novel in English, and this is the edition published earlier this year by AmazonCrossing in the US and by Speaking Tiger in the Indian Subcontinent. I met Laksmi when she was a featured author at the 2015 Singapore Writers Festival, and she signed my copy of the Indonesia-only limited English edition (which may now be a collector’s item, as it’s now out of print), but urged me to find the new edition in 2016 and read it instead. Which is what I did. And no other novel I read this year came even close to what an amazing book this is. You can find the description and effusive blurbs on the author’s official book page, so I won’t rehash them here, except to say that I LOVED this novel. It took me two months to read, which is a long time for me, even for a book of this size, because I kept stopping to savour the writing and the imagery and the depth of feeling that infuses every page. I’m just in awe of how epic and heartbreaking it is, and written so beautifully. The Question of Red is an amazing work of art, tackling darkness and redemption and love, and it inspires me to get back to my own writing pronto. And I was puzzled that the novel has frankly received little attention in the American book world. It’s gotten a few reviews, but none yet in mainstream literary publications. It is unfortunately entirely possible that it has been overlooked by review venues and bookstores because of its Amazonian association (which, if true, is an incredible shame). I am no fan of Amazon myself, but I’m quite willing to put that aside in order to help shine a bigger light on this incredible novel. The list price of the book on Amazon is $14.95, but it’s marked down to $8.67, which is already an incredible deal. However, starting now and continuing for the next three months, the book is absolutely free to read as part of the Prime Reading program in the US. Meaning that until the end of March, if you’re an Amazon Prime member, you can read the book for zero dollars (you should automatically see the “Read for Free” option). You owe it to yourself to read this remarkable book, and with prices so low (or free), there’s really no reason not to. And once you’ve read it, do leave a review on the Amazon page. Go on, make this one of your New Year’s resolutions. I had a wonderful time seeing some familiar faces (Marc de Faoite, Sharon Bakar, Amanda Lee Koe, Tash Aw, Darryl Whetter), as well as making new friends (James Scudamore, Tishani Doshi, Jérôme Bouchaud, Faisal Tehrani, Ismail Gareth Richards, Amir Muhammad). I was also happy to finally meet the indefatigable Bernice Chauly in person; we’ve been Facebook friends for years, and I’ll be editing her first novel for Epigram Books in 2017. The festival theme, Hiraeth, was threaded throughout the many panels and readings over the weekend, in explorations of longing, homelands, identity, and the role of fiction. It was a privilege to hear from such thoughtful writers who’d come from all over the world to talk about their work in the context of this framework. 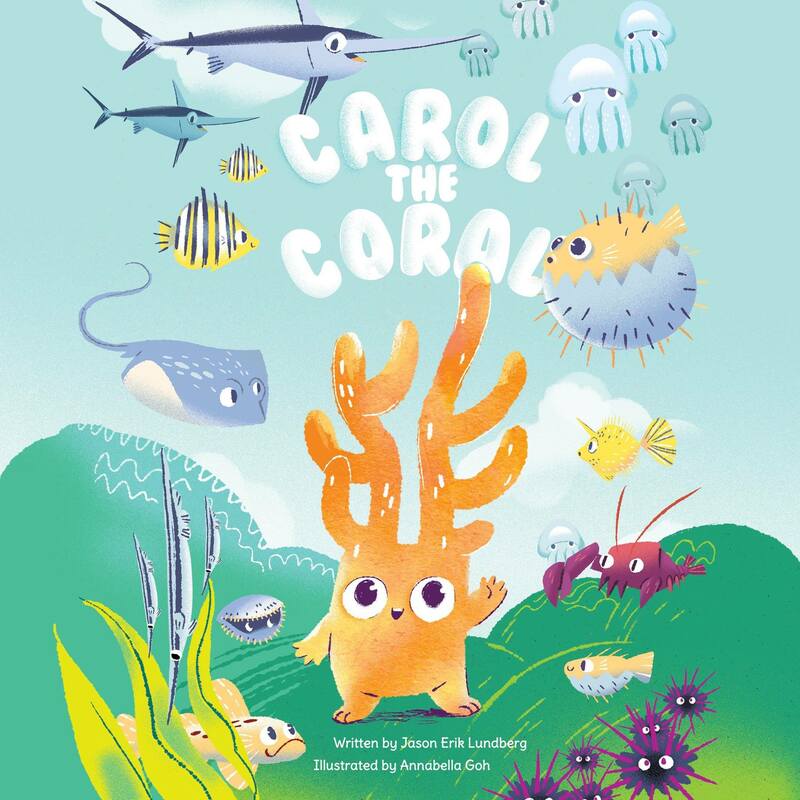 Carol the Coral: My New Picture Book! A couple of months ago, I was approached by Goodstuph, a brand manager and advertising agency in Singapore, about writing a new children’s picture book for a campaign they were doing with development company Keppel Land, concerning marine ecosystem conservation in Keppel Bay. As part of their “Homes in the Sea” initiative, they’ve been growing young coral in a nursery and then transplanting them to an existing coral reef at King’s Dock. After meeting and discussing the idea, I came up with Carol the Coral, a story about a feisty young coral who discovers King’s Dock while looking for a new home, and who must contend with a grumpy clam who wants the spot that she has claimed. The book was to consist of four chapters, all of which had to be approved by the client, and after a bit of fumbling at the beginning while trying to understand what they were looking for, I sent them a plot summary for each chapter, and then got to work on breaking these down on the page level. Once the text was written, artist Annabella Goh went to work on adapting it visually and laying out the text on each page. And she did such an amazing job enhancing the story through her whimsical art style. Carol is incredibly cute (while also quite capable of handling herself), and there were even some surprises that made me laugh out loud (such as seeing the pistol shrimp henchmen in chapter 3 really look like gangsters; one has a missing eye, and the other wears a trilby). Chapter 1 was released at the Keppel Land Live FB page on 28 May, and each subsequent chapter every three or four days later; the final chapter went up today! Each chapter is introduced with a question to the viewer, and if you answer correctly, you’re put in the running to win to tickets to the new Pixar film, Finding Dory! (Which I’m totally taking Anya to see in the theatre.) The contest ends on 12 June 2016, 11.59pm UTC+08:00, so don’t delay! In addition, Keppel Land will be producing a limited-edition print book that publishes the entire story. As much as I wish it would be available in bookstores along with my other books, they’re not interested in becoming a publisher, and will only be using the book for giveaways. So really, the best way for you to see it is online. I have to say that this has been a great experience, and I’ve learned a lot from it. I had the preconceived notion that doing corporate work would be soul-deadening, but the collaboration with Anna, and the working relationship with the folks at both Keppel Land and Goodstuph, has been quite fulfilling! Also, since Bo Bo and Cha Cha is currently on hiatus, I’m especially glad to have a new picture book come out this year. So please enjoy the adventures of Carol the Coral! David Bowie is one of those artists you think will always be there. He reinvented himself again and again, and I really didn’t think he would ever stop, he’d just keep on going, like a never-ending regeneration of himself, outliving us all, becoming post-human, then post-post-human, bringing his music to other worlds, other universes. He was in the background of my musical tastes for a long time, but I got big into his music in the mid-90s, with his contribution to the soundtrack of David Lynch’s film Lost Highway, and the release of the albums Outside and Earthling, and his collaborations with Nine Inch Nails. I was encouraged by a friend to explore his post-Ziggy Berlin Trilogy—Low, “Heroes” and Lodger—which became some of my favourite albums. His death hits especially hard since his new album, ★ (aka Blackstar, which I’m listening to right now), just came out a few days ago, and he looked just as full of life in the pre-release music videos for it. I’m sad that he won’t get to fully enjoy the accolades for ★, many of which are calling it one of Bowie’s best in years, but as an artist, I am very glad that he was able to witness its release, his final work of art. All this week, I have come back again and again to Bowie, to his music, to his interviews, to his list of favourite books, to his acting roles. I haven’t been able to work up to watching Labyrinth, because I just don’t know if I could handle it yet. Like so very many of his fans and friends, his death took me by complete surprise (although there is much supposition that ★ was purposefully created as his final goodbye), and I’ve been in mourning. I’ve listened to the new album almost a dozen times. But it wasn’t until today, when I was scanning his discography and Wikipedia entries once again, that I found out something interesting about probably my favourite Bowie album, Outside (released in 1995): he and Brian Eno had planned on revisiting it. And not only that, it was originally planned as the first of five albums “to chronicle the final five years of the millennium” (which is why the title is listed as 1.Outside on the cover art, something I always wondered about). In case you’re unaware, Outside is a concept album, like many of Bowie’s albums, but unlike The Rise and Fall of Ziggy Stardust and the Spiders from Mars or others, the concept exists beyond the songs themselves and bleeds onto the liner notes in the form of a short story, “The Diary of Nathan Adler“, which reveals a murder mystery investigated by a noirish (or maybe “noird” or “weirdboiled”) detective who specialises in “Art-Crime”. Nathan interacts throughout the album with an eclectic cast of Pynchonesque characters, including ex-convict Leon Blank, underground art-crime dealer Ramona A. Stone (who is also Nathan’s former lover), supposed “broken man” Algeria Touchshriek, and teenage art-crime victim ‘Baby’ Grace Blue. A serial killer referred to only as The Minotaur is the object of Nathan’s quest, and at various points Leon, Ramona and Algeria are considered either suspects or accomplices, before it’s revealed that Nathan himself is The Minotaur (in “I’m Deranged”, my favourite song on the album). What I love so much about this album, besides the mid-90s industrial musical style Bowie largely employs, and the collaboration with Brian Eno, is this narrative throughline (which is examined in detail at Concept Album Corner). A work of speculative crime fiction (since it takes place in the then near future of 1999), with hints at the larger story, and some truly disturbing visual and aural details (the description of ‘Baby’ Grace Blue’s evisceration and dismemberment as a work of Art still makes me shudder). And I can only imagine the story of Contamination. Nathan is caught at the end of Outside and arrested as The Minotaur, but does his story end there? Is he destroyed by the state, or does he escape his confinement? Would Leon, Ramona or Algeria have returned, or would there have been an entirely new cast of characters? In some alternate universe out there, Bowie and Eno succeeded in making Contamination and the rest of the series. I can only mourn the loss of those innovative and disruptive albums, just as I mourn the loss of that innovative and disruptive musician today. 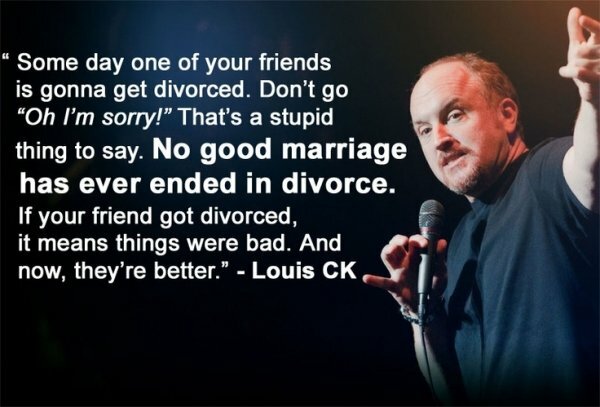 A Thanksgiving announcement: the paperwork has just been finalized, and I am now officially divorced. This may come as a shock to some of you, and to others it may be no big surprise at all. I have not posted any updates about or photos of Janet here at the blog or on Facebook for a very long time, and that could have been seen as wanting to respect her privacy or a symptom that we were no longer together (it was both). We’ve been physically separated for several years now, but emotionally separated for far longer. This resolution was a long time in coming, and both of us are much happier living apart and sharing custody of Anya than living in tension-filled deeply uncomfortable togetherness. We’re even working slowly toward becoming friends again. For the curious, I do plan to stay in Singapore for the foreseeable future. I’ve made a life here now independent of my ex-wife, and Anya is starting primary school in January. Over the eight and a half years that I’ve lived here, I’ve really come to appreciate the intrinsic sense of stability and safety, and feel like I’m making a genuine contribution to the literary scene both as an author and editor. This is a new phase of my life, but I’ll be fine. The destabilizing months (and years) are for the most part behind me, and things have settled into a manageable pattern. I’ve got a brilliant little girl and some wonderful friends keeping me honest and sane and able to laugh at life’s absurdities, which is something definitely to be thankful for. Onward. If you missed the recent launch of A Curious Bundle for Bo Bo and Cha Cha at the Singapore Writers Festival, you have another chance to see me publicly launch the book and do a storytelling session from it. I’ll be conducting a mini-whistlestop tour this Saturday the 14th at Woods in the Books‘ two locations: at their flagship store in Tiong Bahru at 1130am, and then at Books Ahoy! (on level 2 of the Orchard FORUM) at 300pm. As with the SWF launch, my daughter Anya will be along to help me out, and to voice the little baby animal in the story (which is beyond cute, so you have to come). See you there!